MYLAPS Trackside Software is the best motocross software on the market and the most commonly used software by motocross race promoters. MYLAPS Trackside MX Software is designed specifically for motocross and is known for being user-friendly and easy to learn. It is a complete solution for race management and scoring. MYLAPS Trackside 5.0 is the entry level version. MYLAPS Trackside Software 5.0 has many of the features of the MYLAPS Trackside Software. It is designed specifically for motocross events and offers a complete solution for race management and those who use manual scoring. Designed to work on a touch monitor and allow racers to sign themselves up at the race track. The MYLAPS Trackside Self Registration program allows racers to select the class, brand and racing number they wish to enter and 5.0 has many of the features of the MYLAPS Trackside Software. 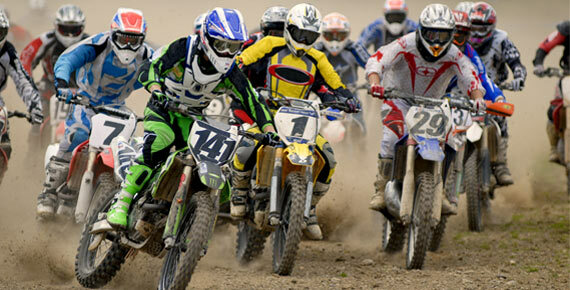 It is designed specifically for motocross and is known for being user-friendly and easy to learn. It is a complete solution for race management and those using manual scoring. This includes everything you need to start enjoying transponder timing on your MX track, for a special price! American Motorcyclist Association members, clubs and promoters can now take advantage of exclusive money-saving benefits from leading timing-and-scoring company, MYLAPS Sports Timing.